This is probably the MOST important medical condition which should be discussed for several reasons. Firstly, atherosclerosis is the leading cause of ill health and death that our society faces, and secondly, this disease responds very well to changes in nutrition and lifestyle dynamics. Atherosclerosis is the leading cause of heart attack, strokes, aneurysm, peripheral vascular disease, and cognitive impairment. 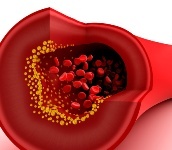 There are many natural remedies that can help prevent, manage, and even treat atherosclerosis. These super unsaturated fats are found in oily fish like mackerel, salmon, sardine, herring, tuna, and anchovy. These oils can also be found in seal and flaxseeds. The omega-3 fats can decrease the inflammation inside the artery which is the major reason that plaque and calcium form. It can also keep your blood thinner so blood clots will not form in the arteries. Eating fish two to three times per week or taking a supplement containing one to two grams of omega-3 fats per day can also be very helpful. This mineral is very important in the prevention and management of atherosclerosis because of its unique action on the artery wall. Magnesium affects the artery wall by causing the muscular wall of the artery to relax. This lowers the blood pressure within the inside of the artery and can help prevent the type of artery damage which causes plaque formation, blood clotting, and calcium formation. Foods that are higher in magnesium include green vegetables, whole grains, nuts, seeds, beans, seafood, and meat. A supplement containing 300 mg of magnesium citrate is also very beneficial. Foods higher in soluble fibre like oatmeal, oat bran, and flaxseed decrease artery inflammation and lower levels of the “bad” LDL cholesterol which can deposit cholesterol into the artery wall. It can also increase the levels of “good” HDL cholesterol, which removes the harmful LDL cholesterol from the inside of the artery wall. Eating a serving or two of soluble fibre daily will also decrease your blood pressure! B vitamins can help manage or reduce the development of vascular disease by various mechanisms. Firstly, B6 vitamins, folic acid, and B12 vitamins decrease the formation of a chemical known as homocysteine. This chemical is toxic to the sensitive endothelial linings of your arteries, and is associated with blood clot formation, increased inflammation, vascular spasm, and cholesterol deposition. Hence, the increased levels of circulating homocysteine can increase the risk of heart attack and stroke. B vitamins are found in foods higher in whole grains, however, and refined carbohydrates can increase our need for these vitamins. These nutrients cannot be stored in your body so a continual supply is necessary. Vitamin B3 (niacin) helps protect your arteries from disease by decreasing cholesterol blood levels, triglyceride levels, and reducing higher levels of inflammation within your arteries. I recommend taking a multi-B-complex formula once per day if you have a higher risk for atherosclerosis. Garlic is an herb with many medicinal benefits. The regular use of garlic can decrease blood pressure, lower blood cholesterol, triglycerides, inflammation, blood pressure within the artery, and the risk of developing blood clots. There is no coincidence that populations of people who consume higher amounts of garlic have lower rates of cardiovascular disease. I recommend eating two to three cloves of garlic every week to help keep your arteries clean. This is a chemical found in many different foods; however, as we get older, our needs for coenzyme Q10 can greatly increase. This nutrient can help protect the inner linings of the artery by lowering inflammation and fighting free radicals that can damage the endothelium which lines the inner artery wall. Coenzyme Q10 is a very important fat-soluble nutrient which helps fight free radicals inside the cell. Supplements containing 100 mg of coenzyme Q10 in an oil-based capsule should be taken daily with food. Qin, X., et al., “Effect of folic acid supplementation on the progression of carotid intima-media thickness: a meta-analysis of randomized controlled trials,” Atherosclerosis. June 2012; 222(2): 307-13. Zeb, I., et al., “Aged garlic extract and coenzyme Q10 have favorable effect on inflammatory markers and coronary atherosclerosis progression: A randomized clinical trial,” J Cardiovasc Dis Res. July 2012; 3(3): 185-90.